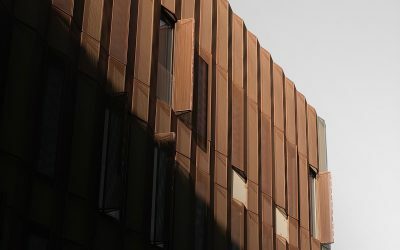 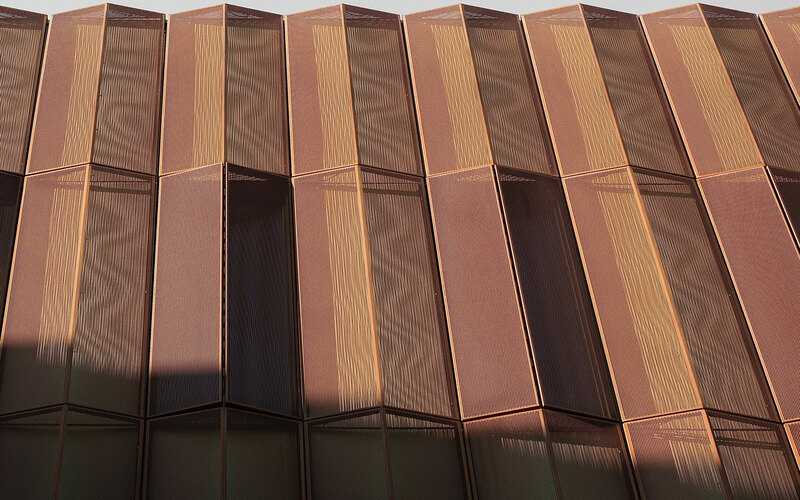 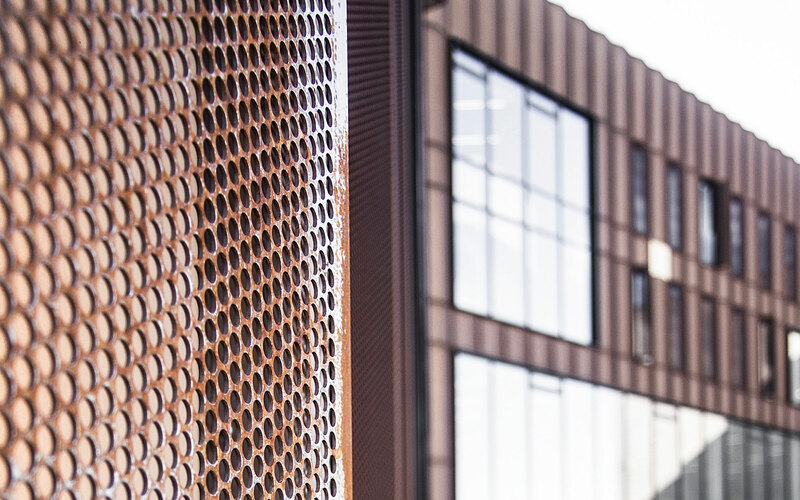 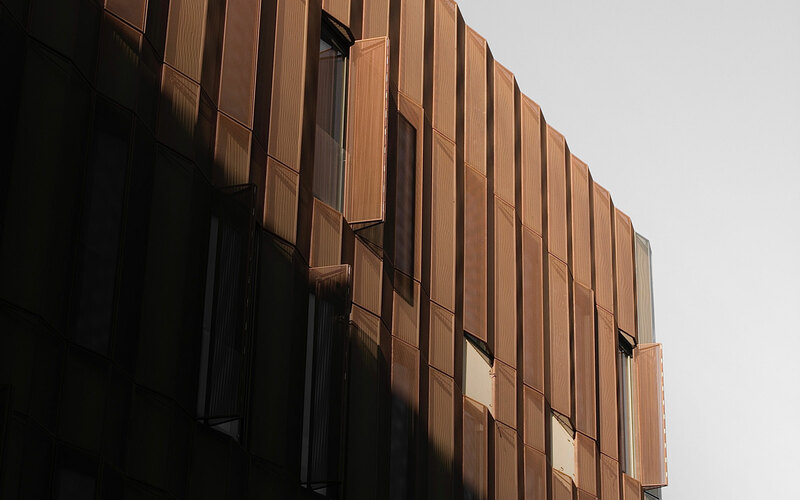 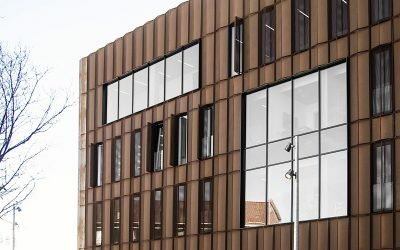 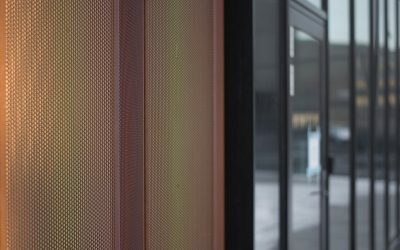 In connection with a considerable expansion and modernization of Metropol University College it was Kant Architects‘ ambition to envelope a large part of the new building complex in a characteristic perforated Corten steel cladding – serving as a decorative skin, but also as screening. 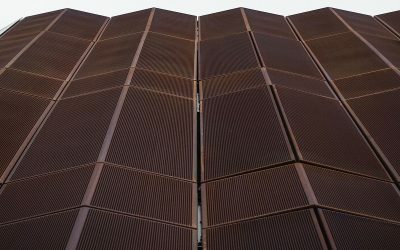 The cladding can be opened – where the windows are. Art Andersen assisted Kant Architects in the development of the 108 openable elements. They are designed as 90 x 250 cm vertical external window-based folding shutters. 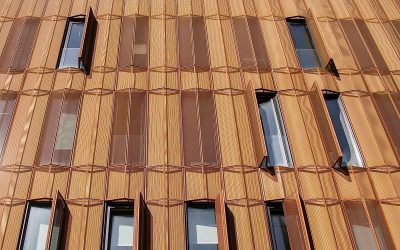 And they are made of the same type of Corten steel and with the same perforations as the fixed part of the cladding. The folding shutters are totally flat – and invisible – when closed.